This recipe uses shortening to make a vegan spelt crust. If you prefer, use a double batch of our all butter Easy Spelt Pie Crust instead. 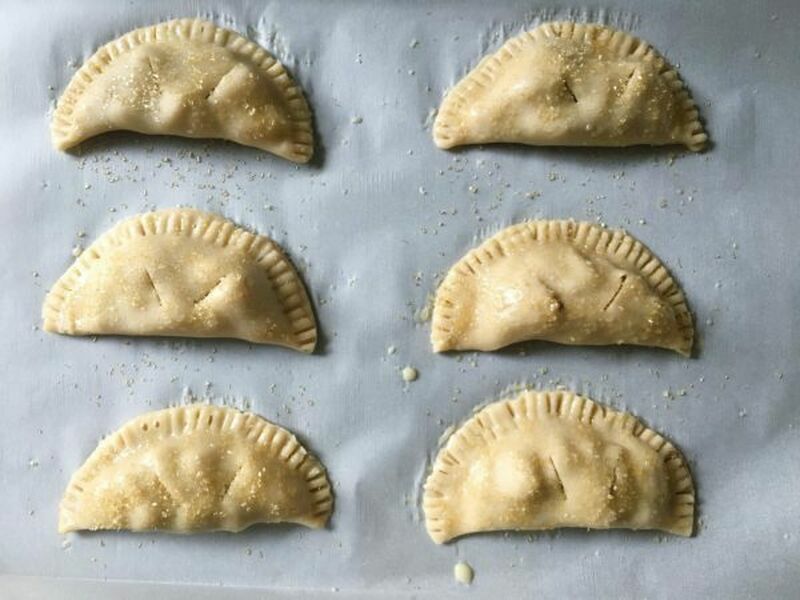 Hand pies are the perfect way to make a comforting pie with only three apples - perfect for serving to a crowd - the perfect individual snack (or dessert)! 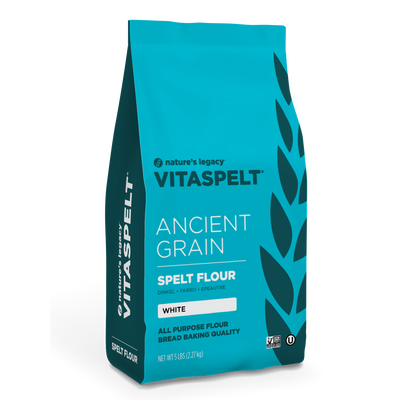 With a dough cutter or food processor mix spelt flour, salt and sugar together. Cut in shortening until coarsely combined. Add in water a tablespoon at a time until dough comes together. Turn out dough onto a work surface and shape into a disk. Wrap dough in plastic wrap and refridgerate for 1 hour to 2 days. In a large skillet combine diced apples, sugar, apple pie spice, corn starch and lemon juice. Cook over medium heat until apples are soft. Remove from heat and let cool. Remove dough from fridge and divide in half. 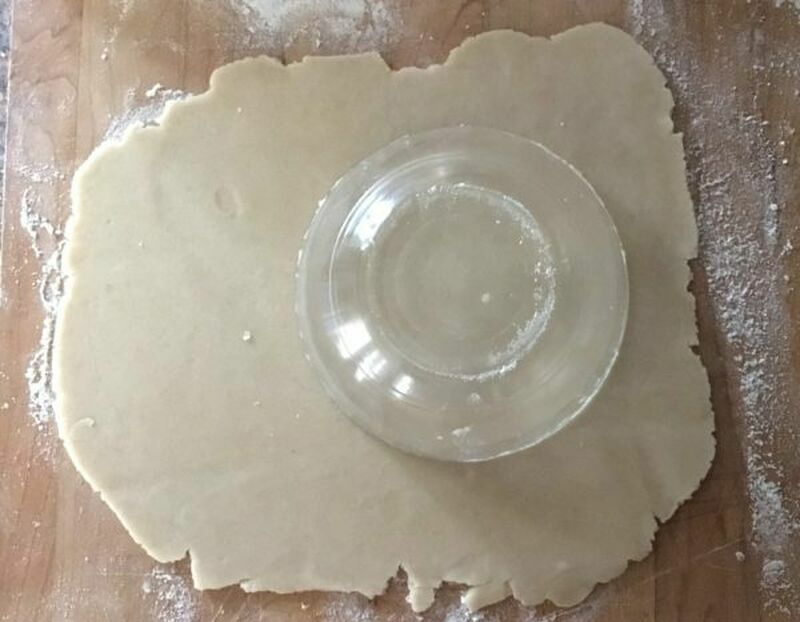 On a floured work surface, roll out dough and cut into 5 inch rounds using a large circular cookie cutter or an upside down bowl that is about 5 inches in diameter. Continue rolling and cutting dough until 12 rounds are cut. Place pies on a parchment lined cookie sheet. Cut small slits in each pie to release steam during baking. Then brush each pie with egg wash and sprinkle with turbinado sugar. Bake for 20 to 25 minutes, rotating halfway through baking. 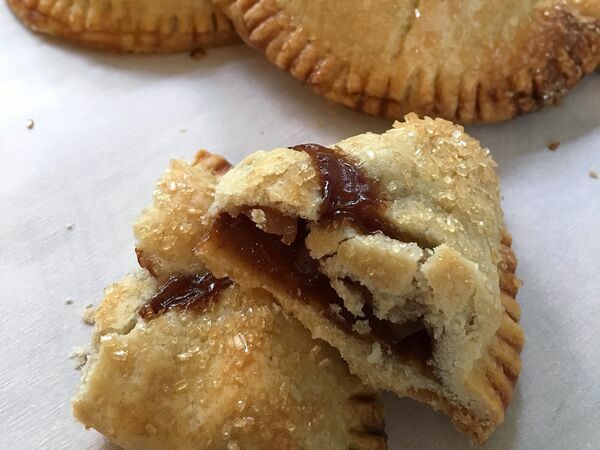 Use this vegan spelt crust recipe and technique to make other hand pies with a variety of fruit fillings or even a savory filling! !